You’ve done it! You’ve written the first draft of a novel. That’s amazing! Congratulations! Seriously, if you haven’t celebrated that accomplishment yet, please do. Okay, now here’s the deal. Even if you’re going the self-publishing route, you’ve got some work to do before you can publish that book. Let me put it this way … If your book is your baby, then you’ve just made it through pregnancy and delivered your child. That’s super hard work, and I’m really proud of you. But now you’ve got to guide that baby into maturity, raise them to adulthood. Before you release your book out into the world, you’ll want to make sure it’s the best it can be, and that requires editing. Lots of editing. Different phases of editing. That’s right, this isn’t a one-and-done proposition. And, just like writing, it’s not a one-size-fits-all process either. Too often in author’s forums I see writers say something along the lines of, “All right, first draft’s done. Now it’s off to the editor and I’ll publish next week!” and this always makes me cringe. I wonder if they mean “proofreader” when they say “editor,” and I really hope their stories and writing are strong enough to leap to that stage. I understand, though. 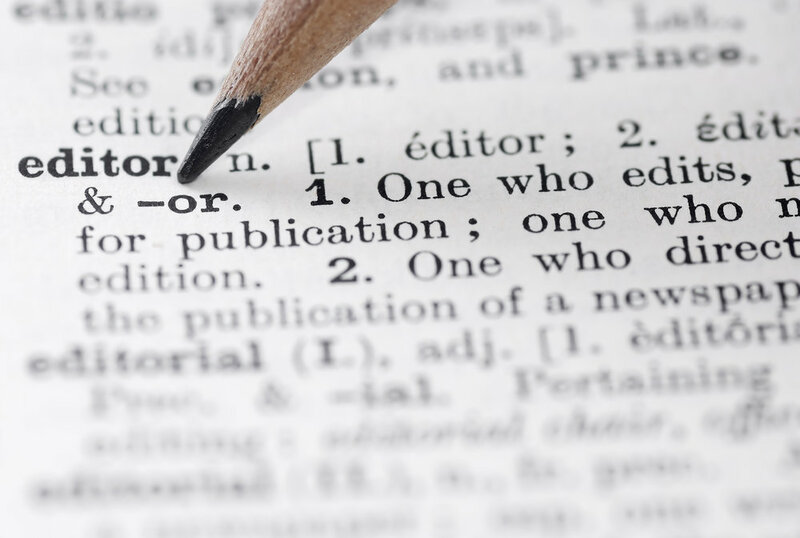 The term editor is bandied about so often and means so many things to so many different people that it might help to go over the different stages of the editing process. So let’s do that. Does your novel start in the right place? Does it build in complexity and tension until it reaches a powerful climax? Does it hit the notes a reader expects a story of its genre to hit? Are your characters flawed and believable? Are their actions consistent with their personalities? Does the book have plot holes that need to be addressed?Is the story underwritten (moving too quickly without providing sufficient detail)? Is the story overwritten (taking too many side trips or including unnecessary detail so that the story you’re telling gets lost in all those words)? Is the point of view consistent and is it the right point of view for the story, chapter, or scene? There are several ways to approach the developmental edit. You can do the work yourself. If this is your approach, I strongly recommend you put that manuscript away for several weeks after you write the first draft so that when you return to it, you can come at it with fresh eyes. Read the manuscript all the way through, in one sitting if you can, and take copious notes about what you want to change in your revisions. You can work with a developmental editor at the outline stage. Hire a professional prior to writing your first draft to hammer your outline into great shape so that you never introduce those developmental issues to your story in the first place (smart!). This saves you lots of time and money. Elicit feedback from beta readers. You can hire a professional beta reader or find experienced and willing beta readers in your writing community to help identify where the story’s working and where it’s not. This approach gives you a summary of what needs to be fixed and leaves the work to you. Hire a professional developmental editor. The most comprehensive—and expensive—approach is to hire a developmental editor to work with you on your finished manuscript. A developmental editor will go through your entire manuscript and evaluate what to change and where to change it. They’ll make comprehensive suggestions for improvement. Once they’ve done their job you’ll still have work to do, buy you’ll know exactly what to do to prepare your manuscript for the next stage of editing. Once you’re sure your story elements are all in place, you can start paying attention to the writing itself. Where dev editing is all about story, copy editing is all about language. A great copy editor will help your artistry emerge. Great copy editing helps your manuscript to read like the wind. Are my first and last lines perfect for the story? Do my characters’ voices reflect their personality? Is my dialogue natural? Would someone actually say that? Is there any head-hopping (inadvertent point of view shifts) that I need to fix? Are my descriptions tight and evocative? Have I eradicated throat clearing (warm-up paragraphs, telling before showing), filler language (just, that, etc. ), and hesitant words (started, began, almost, etc.) wherever possible? Does my diction reflect the tone and genre I’m going for? Is there stage direction that I can cut or tighten (for example, “He swung his legs over the side of the bed, put his feet on the floor, crossed the room, and went out the door to the kitchen” can become “He went to the kitchen”)? Is passive voice only used when necessary? Are there redundant sentences or descriptions that I can cut? Can repetitive sentence structure be improved by varying the sentence length and structure? Is the manuscript riddled with echoes (is a single word or phrase overused either in clusters within the manuscript or throughout the manuscript)? Are there parts that should be more fleshed out or more fully shown to the reader? All of this language-level work (and more) is done at the copy editing stage. Only once that’s done should you move on to the next stage. This is the editing most people are familiar with, and it’s fairly straightforward. Proofreading pays attention to fixing grammatical and spelling errors, eradicating typos, and it can also be concerned with consistency (she was wearing a T-shirt when she left the house, but now she’s in a dress; two pages ago he had gray eyes, but now they’re brown.). A good copy editor will catch a lot of this, but it never hurts to do a final pass with fresh eyes looking just for these issues. If you’re going attempt to do your own proofreading, I strongly suggest you print your manuscript out and read it aloud as you proof. This will slow you down and force your brain to see what’s actually on the page, and your chances of finding errors goes way up. You may actually find more errors if you have the manuscript read to you (there are free programs that will do this for you). Fresh eyes are helpful here, so put that manuscript away for another few weeks after the copy edit before starting this process. Then again, proofreading is the least expensive level of editing to have done professionally. If you struggle with grammar and spelling, hiring a professional may be a great investment for you. Some of these editing skills are likely in your wheelhouse. And, actually, the more you can do on your own, the less a professional editor will charge you, and the less time they’ll take on your manuscript. One of my editor friends, Tammi Lebrecque, once mentioned to me that all editors she’s worked with have a consistent percentage of errors they don’t catch (we’re human, after all). With that in mind, if you deliver a manuscript with 3,000 problems to an editor with a two percent miss rate, you’ll still have 60 errors in the manuscript when they’re done with it. If you can clean your manuscript up so that it only has 300 issues, that same editor will get it back to you with only six errors. Most authors need professional help with at least one stage of the editing process, especially for their first novel. So, what do you look for and how do you find it? First of all, look for an editor who specializes in the kind of editing you need. Ask what genres they like to work in. If they don’t mention your genre—or if they say “all of them”—keep looking. Of course, it never hurts to ask for references. Do they have references from authors in your genre? Great editors will be great communicators, and they will want your story to be the best it can be. You might pay for a sample edit to be sure you’ve found a collaborator who understand what you’re going for and who can help you deliver the best story possible to your readers. Ask what their process is like. Will the edit include meetings with the editor to discuss your manuscript? How many? When will they occur? Will the editor be in touch during the editing process or will you just send it off and wait for it to come back to you? How long will it take? How do they charge? Finding the editor(s) you want to work with can be a bit like dating. You might have to go through a few duds before you find the person you’d be happy to work with again and again. Once you’ve found the right editor for your book, make sure you establish the parameters of the edit they’ll perform in writing. That’s right, you deserve a contract that stipulates what the editor will do, what the schedule will be, and how much it will cost, as well as what the procedures are for cancellation. Long story short, revision and editing are just as important to creating a great story as the initial writing is. Don’t skimp on this stage. Your novel is a lifelong, legacy asset and it deserves great editing.